Dubai, May 9, 2018: The 18th edition of Airport Show concluded on Wednesday with participants reporting signing of substantial deals worth millions and collaborations. 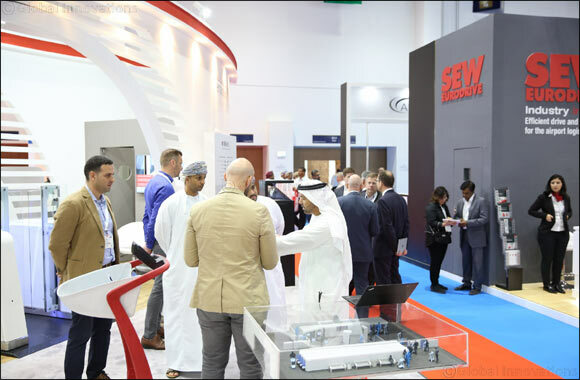 The largest annual event of its kind hosted over 350 exhibitors from 60 countries, with the largest number of dedicated pavilions ever, representing Europe, US and Asia, along with over 7,500 visitors. This year's event also saw its largest number of buyers ever, with 190 buyers attending from 34 countries, representing 75 airports, ground handling, police, immigration, customs, air traffic control and aviation authorities. Since the inauguration of the show by His Highness Sheikh Ahmed bin Saeed Al Maktoum, President of Dubai Civil Aviation Authority, Chairman of Dubai Airports and Chairman and Chief Executive of Emirates Airline and Group, the world's largest annual B2B airport industry event saw the highest number of exhibitors, hosted buyers and participants. The global appeal of the show was expanded by adding exclusive add-on forums like Global Airport Leaders' Forum (GALF), Women in Aviation (WIA), Air Traffic Control (ATC) Forum and Airport Security Middle East – the last two being this year's new additions. Mr Farid Al Bastaki, Director, ENOC Aviation, said: “Initiatives like the ‘Women in Aviation General Assembly' are great platforms to highlight the achievement of women in society. Investing in women is one of ENOC's top priorities which falls in line with supporting the UAE's vision to empower them in the workplace. For the first time this year, the event saw the launch of the Innovation Awards, with winners selected from a global pool of submissions and industry jury. Mr Dieter Heinz, President, German Airport Technology & Equipment, won the ‘Aviation Personality' award for his contribution towards the development of the industry globally; the ‘Revolutionary' award went to Beumer, for a ground-breaking product and service that transformed the industry; Hungaro Control got the Sustainability award, Materna received the award in ‘Smart' category and Avventura was presented the ‘Customer service' award.